The ability to realize what a couple imagines is the main feature of the dedicated wedding staff of the Relais Sant'Uffizio. The historic building or Casa Munfrà offer exclusive and different spaces, all suitable for guests and all multi-purpose, in which to hold parts of the event or even the event itself in full. A tailored assistance, step by step, will help the newlyweds to accurately identify and define every detail. Relais Sant'Uffizio and Casa Munfrà offer different, even exclusive accommodation solutions, to welcome guests before and after the ceremony, while access to the wonderful Aquanatura Wellness & Spa offers a pampering wellness break as a prelude to a dream wedding. Planning your wedding is a long but marvellous undertaking, making it exactly conform to the expectations of those who experience the great day is the mission of those who work every day at the Relais Sant'Uffizio. Love reaches completeness when two souls combine together in only one breath. Achieve your dreams of the perfect wedding with an unforgettable experience in Piedmont, with the beautiful Monferrato Hills close by. You will celebrate your nuptials in the complete peace of nature, surrounded by hills and vineyards, where the wonderful colors of wisterias surround the hotel and its garden. Relais Sant’Uffizio is perfect for an exclusive and private wedding location. You can rent our entire property - rooms, internal and external areas, and enjoy complete exclusivity for one or more nights. Enjoy the privacy of this amazing location fully with your loved ones on your special day. Relais Sant'Uffizio offers an elegant and romantic atmosphere, surrounded by nature. The Locanda Sant'Uffizio Enrico Bartolini offers unique dishes made by the Michelin-starred chef, and a first class service, to ensure that the most important day is also memorable for the creativity and quality of the proposals offered. The restaurant staff help the couple to find the most suitable proposals for the event, chosen from a truly surprising carte, capable of combining the local tradition with the innovative verve and the ability to interpret taste of a grande signature of Italian cuisine such as Enrico Bartolini. 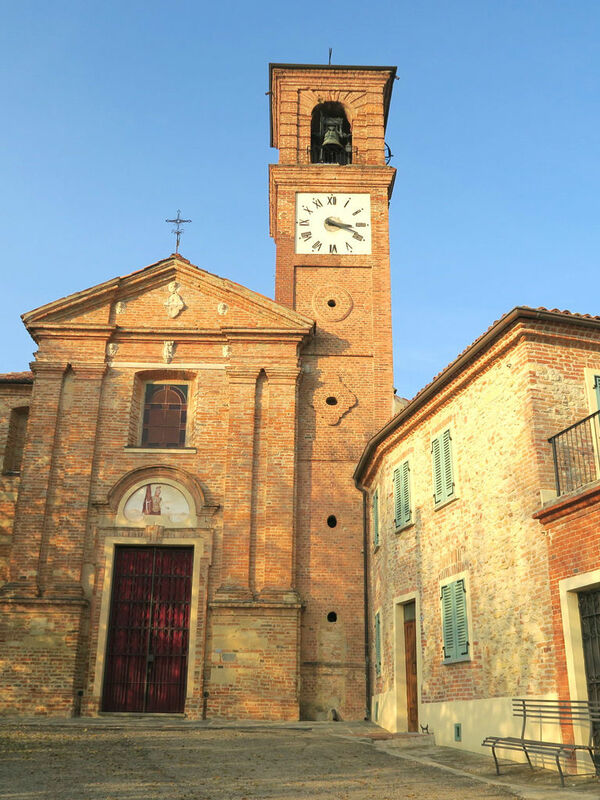 The Church of San Vittore was completely restored in 2004 and is the perfect venue to celebrate a wedding ceremony. Located just 200 meters from the Relais, the church is easily reachable on foot from the hotel. 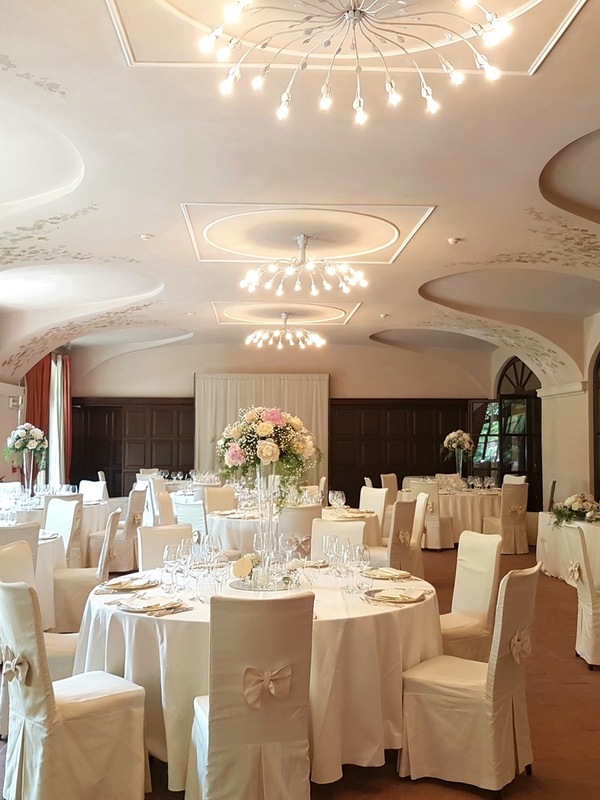 Alternatively, you can opt for a symbolic ceremony in the the Relais Sant'Uffizio parkland, in a tree-lined setting decorated with wisteria, in a spellbinding, lively natural setting. Glicine Hall and Parco Hall are our grandest function suites. These adjoining rooms can hold up to 270 guests, providing ample space for even the largest and most luxurious ceremonies. The stunning outdoor courtyard is available for photography and for guests - perfect for a summer wedding. The Limonaia is the venue to choose for intimate ceremonies of up to 40 guests. Tastefully decorated for classic elegance, this light and airy room at Relais Sant’Uffizio has enough space for your service and can be transformed for the evening’s entertainment. The beautiful courtyard is also available for outdoor dining, live music and more. Guests who are getting ready for the big day and want to look and feel their best can check into the Aquanatura Wellness SPA, where a range of luxurious treatments await the bride, groom and guests. Visit alone for some peaceful time for yourself, or make the trip part of your honeymoon or wedding celebrations together. Pre-wedding visits are also welcome, with group bookings required in advance.